We are manufacturer and supplier of Fiber Power Distribution Cabinets as per clients' requirements. This has been manufactured as per the latest state of art technology as per ISO 9001:2008. 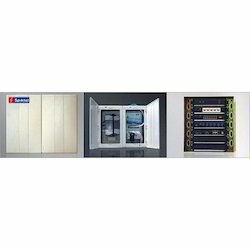 Can be used safely for longer years, this Fiber Cabinet is favoured by consumers for excellent finishing. 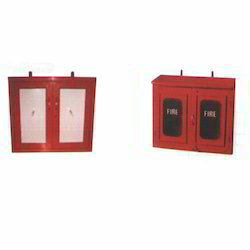 Fibre Cabinet made from thick plate and having inside arrangement to fix two length or one length of fire hose pipe and one clamp for fixing copper branch pipe complete with door of glass frame and door front lock, key box and side ventilation. transparent window etc. Provision for cable entry from top or bottom.